I celebrated my blogs 1'st birthday at the end of September and was planning to do something then to say thank you to all of you who read and comment on my posts. Each view means the world to me and each comment makes my day (even if sometimes I can be a little slow on replying I promise I read every single comment!). However, life got a little in the way, but I figured hey it's better later than never! Plus now this can be like a little early Christmas present from me to one lucky winner! 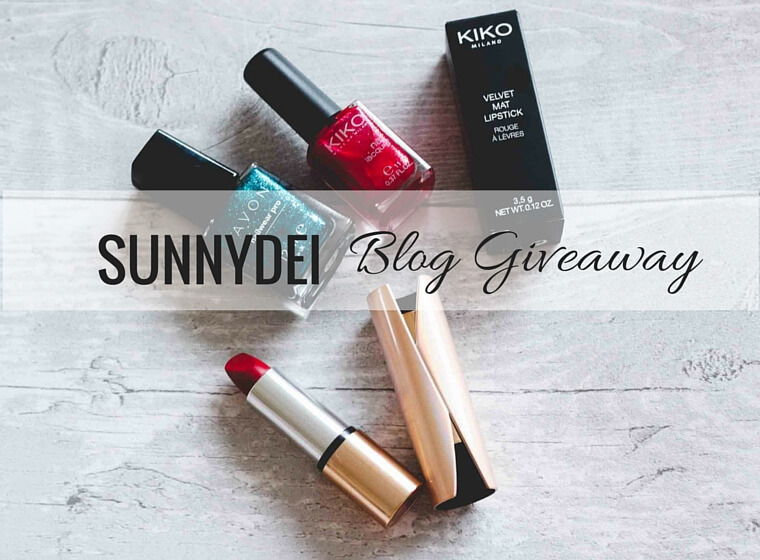 If you have a little look around on Sunnydei you'll notice that I'm not a beauty blogger, however I do love a good lipstick. 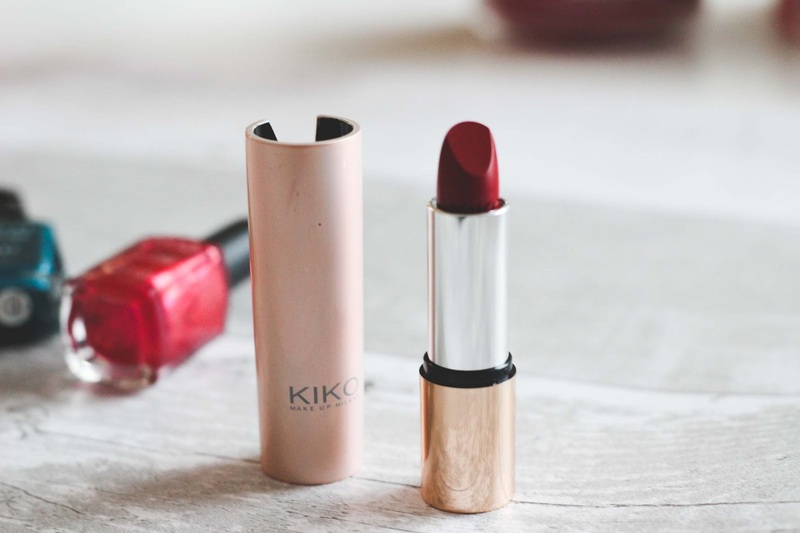 Lipstick is what allows me to change my look from 'office' to 'party' in an instant! This is why I thought it would make a good little prize, because no girl can ever have too many good lipsticks right?! 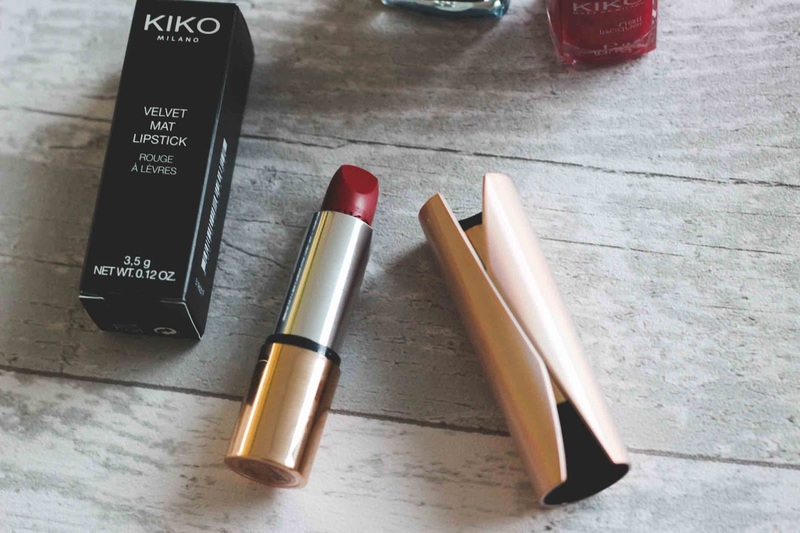 I've walked past the Kiko Milano shop in Leeds city centre for almost a year now but only recently I ventured in. I tried on one of their lipsticks and fell in love. You will also receive 2 Nail Varnishes which I think will be absolutely perfect for the festive season. 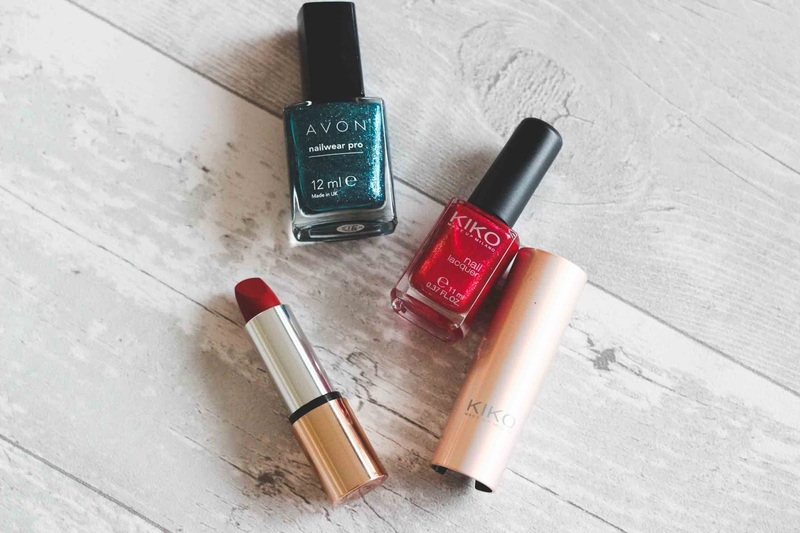 The Kiko Milano nail varnish looks red in the pictures but it's actually a really nice deep pinky red colour with a gold shimmer through it. 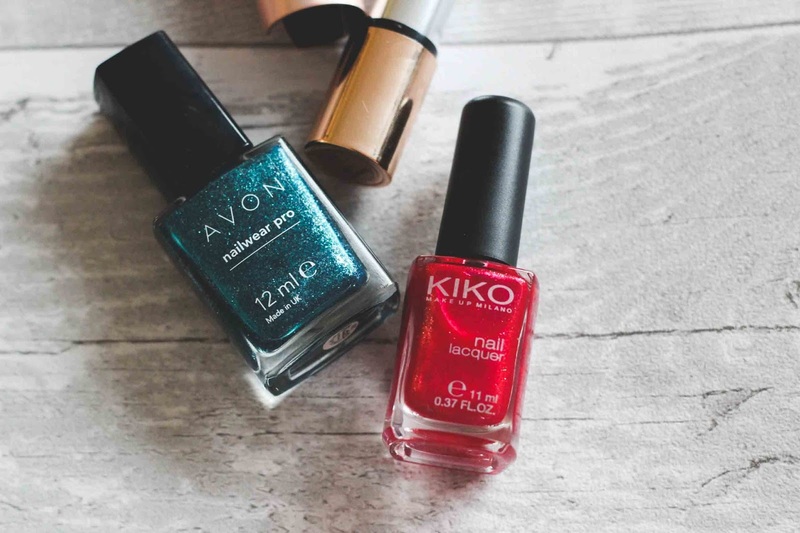 I have also decided to include another festive nail varnish from Avon, one of my favourite makeup brands which I have been using for years and years. It's a stunning sparkly blue/green colour. I know this isn't the biggest giveaway in the world because you know Christmas is coming up and my bank account isn't looking too healthy but I really do hope that you enjoy it! Unfortunately, due to postage costs this giveaway will be limited to the UK only (sorry!) Thank you so much for reading SUNNYDEI and best of luck! UK entrants only. All products in the prize were purchased by me. The giveaway will run from 12:00am 11th November to 12:00am 1st Decemberr 2015. The Winner will be selected randomly through Rafflecopter. If the winner does not respond within 7 days, I will randomly select another. Love your photos and the whole look of your blog! Keep the good work up! Also, love the giveaway, such gorgeous products! What a lovely giveaway! I love that the lipstick needs to be clicked to open - so cute and different. I always used to see that shop in leeds too but never went, I need to check it out next time I'm back. Miss you lots!